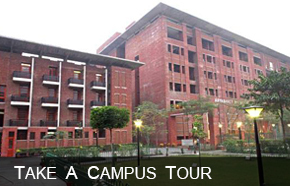 A warm welcome to Jaypee Business School, Noida. JBS is our first and the latest institution of professional learning and excellence in the field of management education, reflecting the vision of our Group. 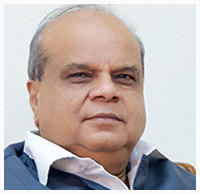 As you will also see through the website and other informational resources, Jaypee Business School seeks to add to the glory of our other existing educational institutions such as a Jaypee Institute of Information Technology, Noida (Deemed University), Jaypee University of Information Technology, Solan (HP) and Jaypee University of Engineering and Technology, Guna (MP). Our MBA program is grounded on the global standards and therefore quite different from other business schools. Our strong focus and commitment on integrating information technology with all functional areas of business management, makes us probably the first business school in India of its kind. To realize the goals of JBS, we are making all efforts to attract the best available leadership, strong in-house faculty, outstanding infrastructure and global alliances with leading business schools in the world. For good reasons, therefore, JBS business students should receive excellent learning and placement in Indian and global industries. I invite you to come and experience the difference of a visionary business school, its program and campus environment.